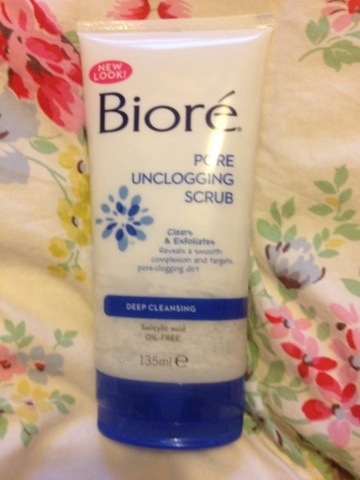 "Biore Pore Unclogging Scrub, with spherical beads, targets what clogs pores and cleans away impurities. 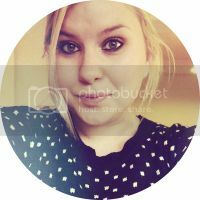 You're left with a healthier-looking complexion without damaging your skin." I haven't been using this scrub every day, even though it is targeted as a daily use, but I'm using it maybe two to three times a week and I have definitely noticed a difference in my skin after using it, skin just looks a little bit more fresh and brighter. I think if I had been using it daily I would probably see more of the blackhead clearing results! It also doesn't dry skin out which I can find happens after using some scrubs, skin feels clean and fresh which as I mentioned in my previous post is what Biore were trying to create with this range, everyday products that don't strip the skin of it's natural nutients and don't dry out the skin. The scrub comes in the new packaging, following the re-launch by Biore recently, so for my shallowness, it looks nice in the shower, and, as with the cleanser, a little goes along way with this, as the product foams up nicely when you rub it into the skin. Have you used any of the new Biore range yet? 3 comments on "Biore Pore Unclogging Scrub"
i am glad that it is oil-free. i hope this one will goes well with my acne treatments in NYC. So would you recommend it to others?